There are many reasons why people read this blog. Some are just curious and stumble across it by the suggestive WordPress tags above. Many are loyal friends, press-ganged into reading by Facebook statuses and/or Twitter updates. Judging by the number of views of my CV, some may even be potential employers. The relief must be palpable across Europe, since Ferrero are also responsible for the hazlenut deliciousness which is Nutella. Had this case gone the other way, I’m not sure how the French would have coped. A fantastic example of an obscure angle being milked to lighten up the business section, (much like this blog post, you may say), so I salute the Beeb for their ingenuity. And they are not the only ones who were taken in by this nugget of a story, with The Times and The Scotsman following suit. 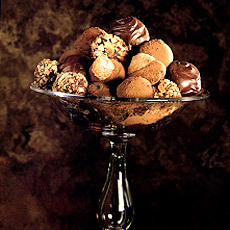 So you can rest safe in the knowledge that Ferrero are not being dishonest in the hunt for nutty perfection. 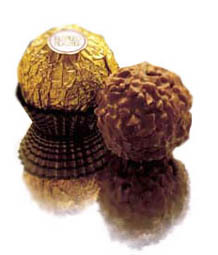 Except for the fact that Rocher are tacky, unfulfilling and unimaginative. If you’re going to a dinner party and want to impress, take some time and make these instead. At least you are connected to high class confectionery. My contacts with the realm of hedonism just go as far as the Corsican patissier of Tardets-Sorholus (now returned from a winter sabbatical in Biarritz). Keep plugging, Chris there’s whole load of Nutella just around the corner.